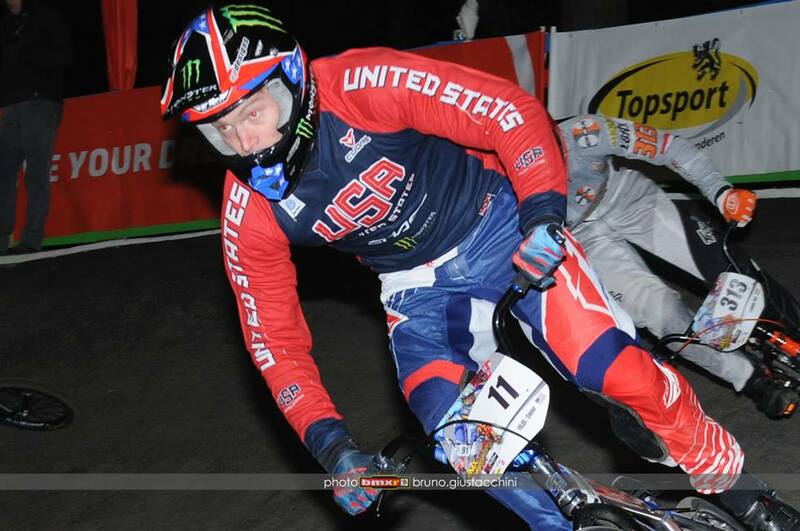 Team USA and Connor Fields traveled to Europe in preparation for the opening round of the 2015 UCI BMX Supercross series. 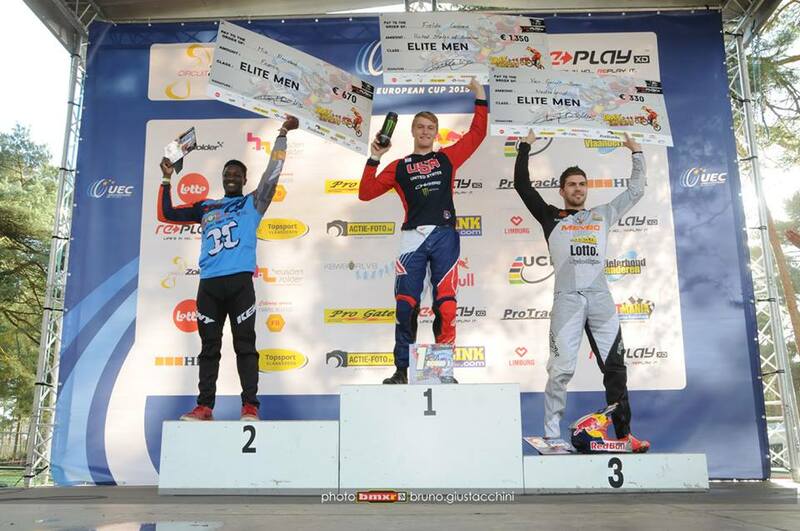 Not only would the team be getting some prep time in on the Manchester track, but they as well attended the opening round of the Euro Cup series, which was on track that will host the 2015 UCI BMX World Championships. The event was a night race on Friday night, as it with some of Europes biggest BMX stars on hand, it was to be a great night of racing. The Zolder crew had a live stream of the event, so fans all over the world were able to tune in and watch the great race action. The event was plagued with some electrical problems, with the lights shutting off, and postposing racing, but once that was all fixed, the track was giving fits to many riders, and making a tough night of racing for some. For Connor, this was his first Euro Round of his racing career, but he made it a memorable one. He rode strong all day, all the way into the main event. When the riders lined up on the gate, Twan Van Gent had rode strong all day, and he took the hole shot, with Connor in tow. Connor rode smart and put the power down on the 3rd straight away, passing Twan, and taking the lead. Connor would take that lead all the way to the finish line and the win for the night! Connor only raced on Friday night, as he now is fully focusing on the opening round of the UCI SX series, which you can watch live on www.BMXlive.tv in just 10 days! Thanks to USA Cycling for all the effort put in to get Connor and the team out to the site of the 2015 Worlds, as well as the prep camp for the UCI SX opening round.